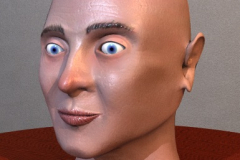 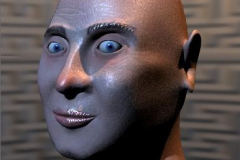 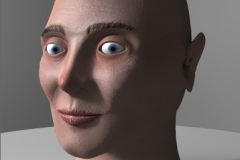 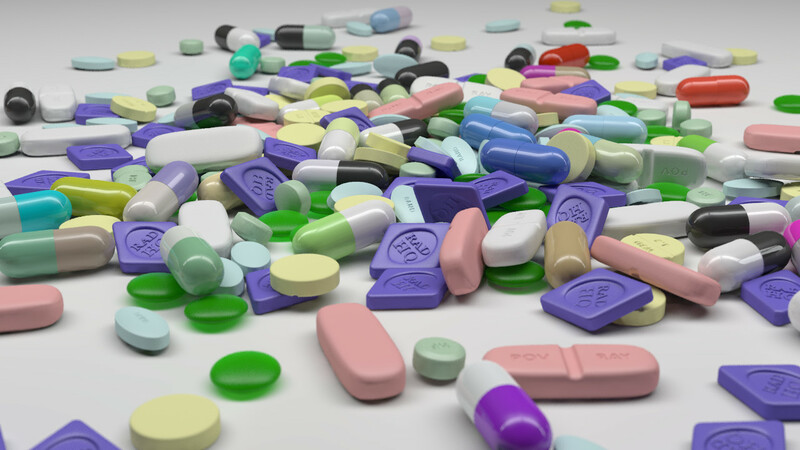 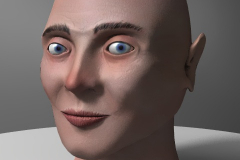 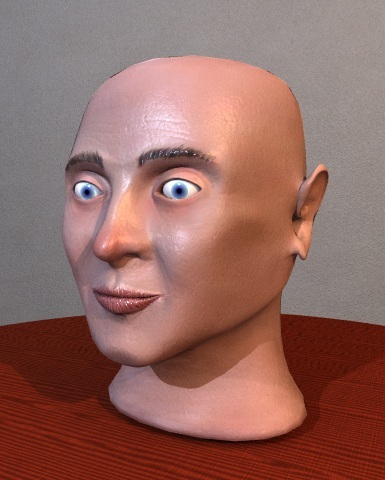 I tried several times to use different 3D modellers, but the classical interfaces are not for me. 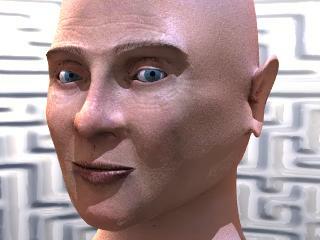 However, Wings3D is very different, and surprisingly intuitive. 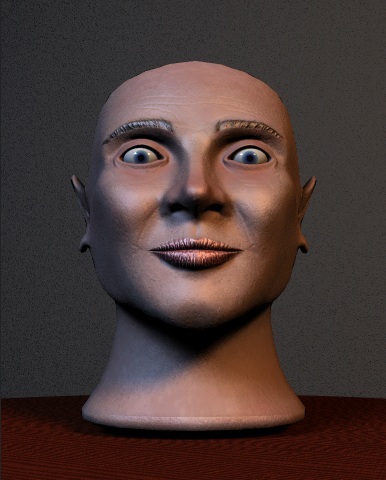 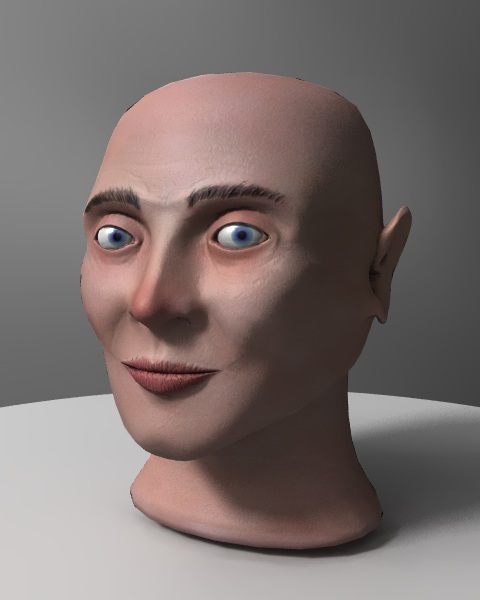 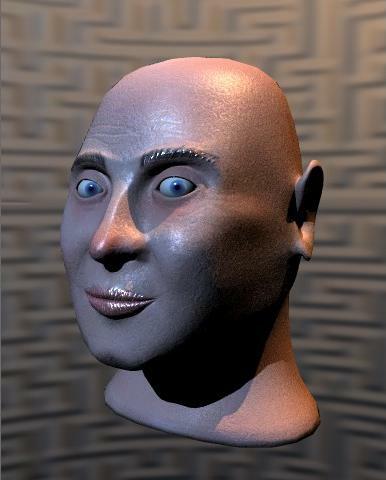 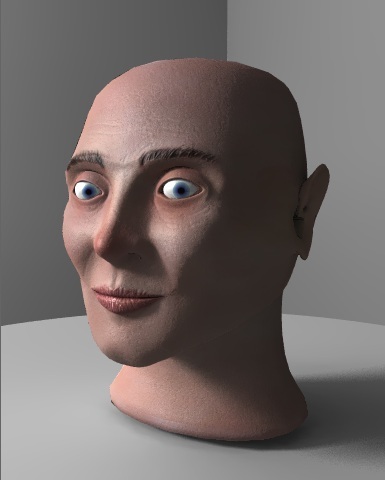 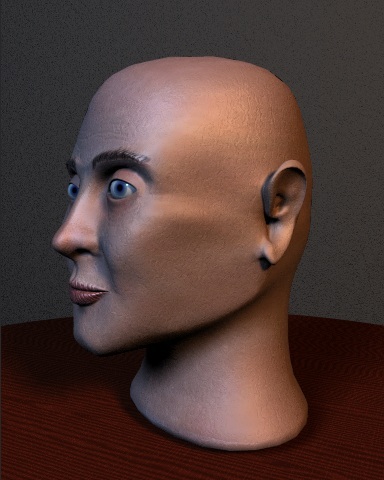 After reading the manual and following the first tutorials, I tried to model a head. 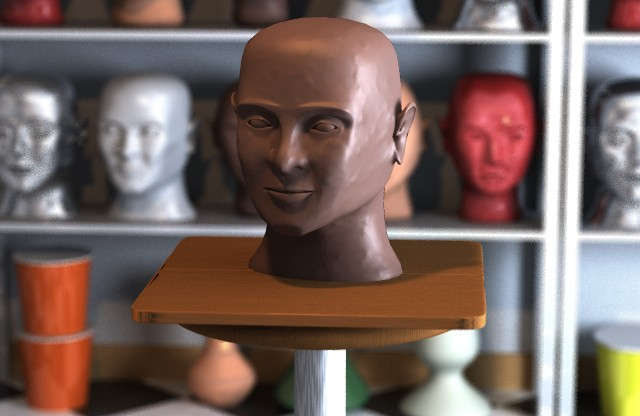 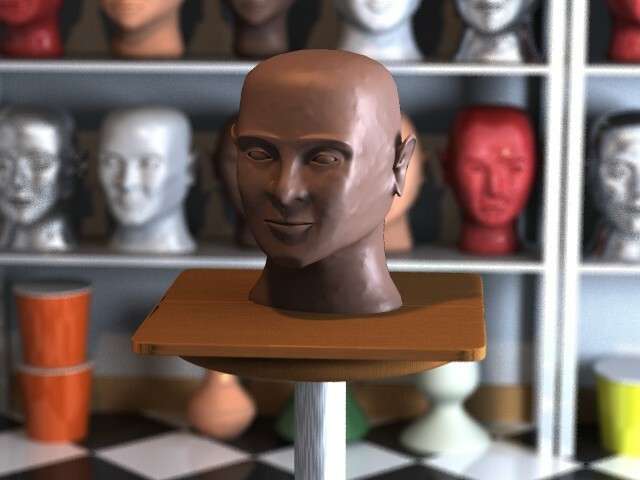 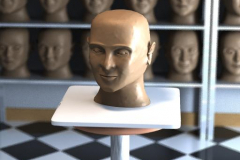 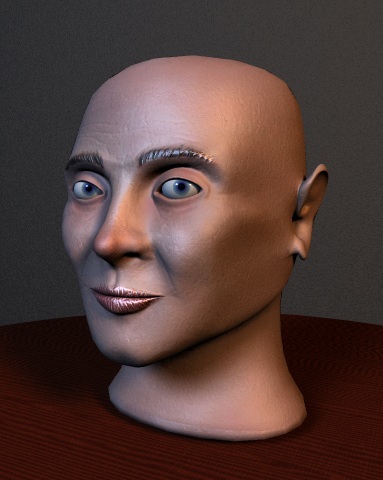 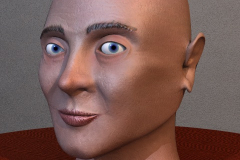 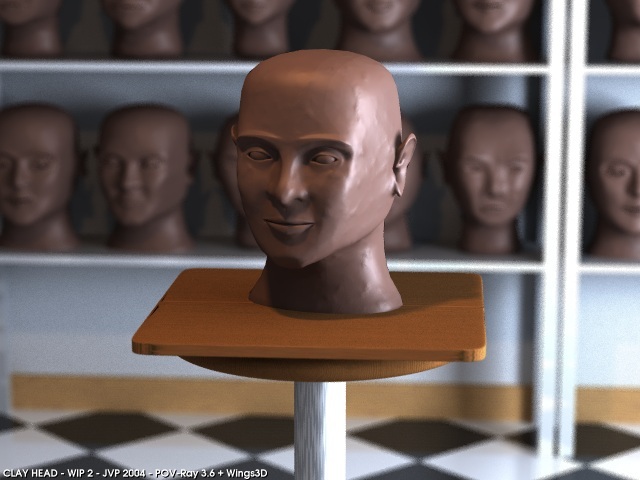 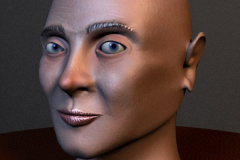 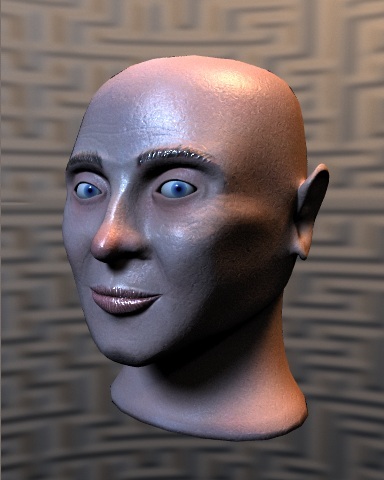 The unexpected and quick good results encouraged me to learn something about head texturing, and so I created an image map for the colors, a bump map for the wrinkles, and a specularity map to act as a finish map using a tricky averaged texture. 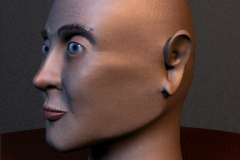 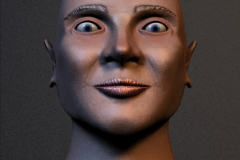 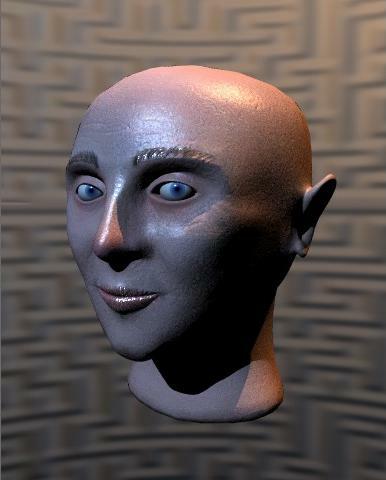 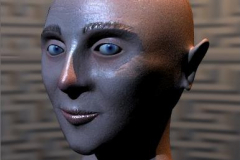 I played also with global deformations to change the head character (see WIPs). 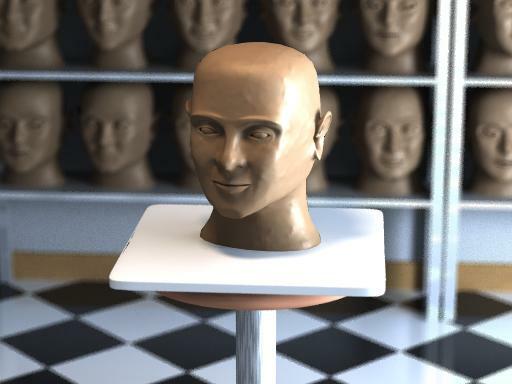 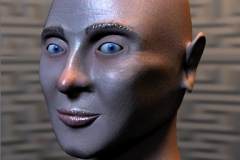 Later, I added a little transparency and interior media for subsuface scattering simulation, but human skin it’s a very difficult subject, and the result was not very good, with many artifacts. 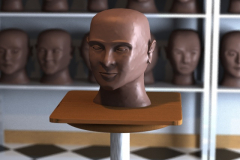 So, for the moment, I decided to avoid human skin, and this “clay artist studio” scene is the perfect excuse/escape.